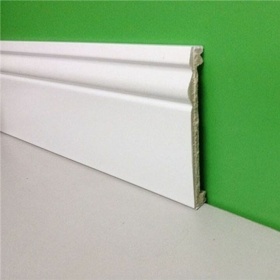 Baseboard,or you could call it skirting board molding, conceals the joint between an interior wall and the floor. Also used to protect the walls from scuffs and floor cleaning tools.Its widely used in every exterior and interior places, such as houses, villas, hotels, night clubs, dancing halls, bars, clothing companies, building offices, conference halls, etc. 1.Lasts longer than MDF or wood mouldings. 5. Low cost: The surface painting is finished and installation time is very short, can be planned,sawed, nailed, and glued by yourself. 80% cost save than using wood and concrete. 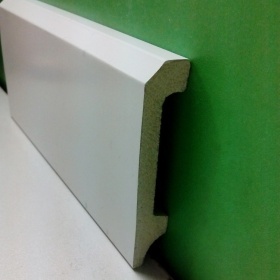 Length：3m for regular stock,2.9m for container order or as per customers'requirements. 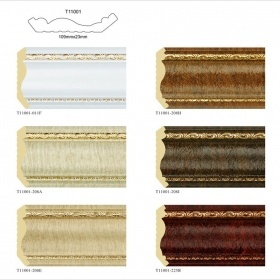 Packing	:28pcs/ctn, PE film wrapped,carton box package. Design：more than 1000 designs,customized design is available. Shipping:by sea from guangzhou port/shenzhen port/ningbo port. 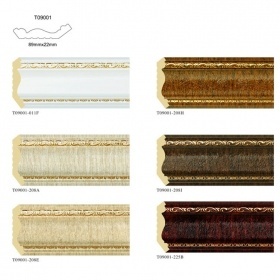 Usage:decorate the wall and ceiling. 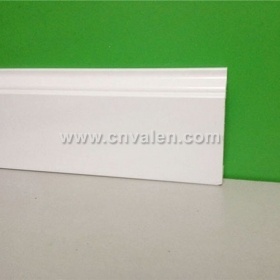 Crown Moldings, plastic construction decorative material,decorate the ceiling to match floor or wall.Its widely used in every exterior and interior places, such as houses, villas, hotels, night clubs, dancing halls, bars, clothing companies, building offices, conference halls, etc. 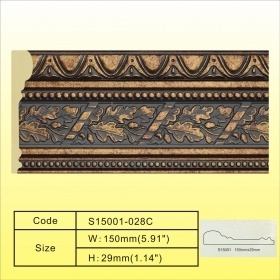 Decorative Moldings, plastic construction decorative material.Its widely used in every exterior and interior places, such as houses, villas, hotels, night clubs, dancing halls, bars, clothing companies, building offices, conference halls, etc. Decorative Moldings, plastic construction material.Its widely used in every exterior and interior places, such as houses, villas, hotels, night clubs, dancing halls, bars, clothing companies, building offices, conference halls, etc. 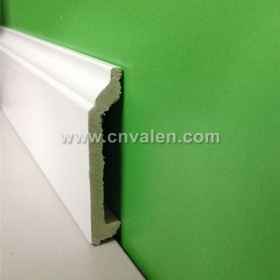 Skirting Board,or you could call it baseboard molding, conceals the joint between an interior wall and the floor. 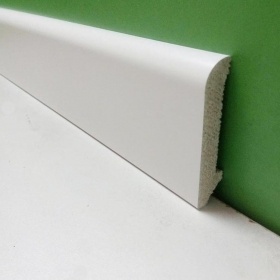 Also used to protect the walls from scuffs and floor cleaning tools.Its widely used in every exterior and interior places, such as houses, villas, hotels, night clubs, dancing halls, bars, clothing companies, building offices, conference halls, etc.